Private equity's favorite shell game is to take over profitable businesses, sell off their assets, con banks into loaning them hundreds of millions of dollars, cash out in the form of bonuses and dividends, then let the businesses fail and default on their debts. 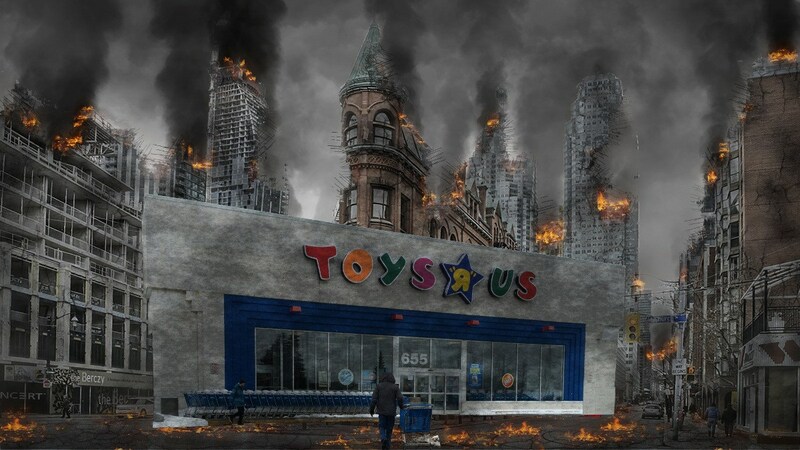 The result is the retail apocalypse, where predatory giants like Walmart and Amazon are able to topple their vulture-capitalist-weakened prey, creating a feedback loop that enriches the shareholder class and destroys American businesses, leaving workers high and dry. The (current) poster child for this con game is Toys R Us, whose private equity owners borrowed more than $5 billion to buy the company (with a $400 million annual debt service plan). The new owners quickly took the company into bankruptcy, defaulting on that giant debt, after paying themselves $200 million (including tens of millions in performance bonuses to the C-suite in the same year the company declared bankruptcy). Now the company has announced that it will also default on all severance payouts to the company's 30,000 employees, including employees who worked at the company for decades, skipping Christmas and Thanksgiving with their families to staff the stores, now slated to get literally not one penny.